Vauxhall is celebrating its status as the UK's oldest surviving car manufacturer by displaying seven of its historic models at the Footman James Classic Motor Show, held at the NEC in Birmingham on 16-18 November. The seven car line-up spans 1904-2012, and promises to celebrate the Luton company's enduring sporting heritage. This will be the first time that Vauxhall will be attending the event, which is the UK's largest indoor classic car show, and promises that its line-up will appeal to enthusiasts of all ages. The NEC marks the beginning of Vauxhall's 2013 birthday celebrations, with it will mark the 110th anniversary of car production in the UK - and the centenary of its legendary 30-98. The car line-up, which have all been supplied by the Vauxhall Heritage Centre includes the veteran 1904 6HP, fresh from its appearance in the London to Brighton run, and the pre-war 1926 30-98, generally regarded to be the UK's first 100mph production car. The main attraction for hot hatch fans will be the selection of Astras: the 1983 Astra GTE Mk1, 1989 GTE 16V Mk2, a current production VXR, and the 1986 Astra 4S rally car, an ill-fated attempt by Vauxhall to muscle in on Group B rallying. Finally, also on Vauxhall's stand is the 1969 XVR concept, as styled by David Jones in the Luton design studio, The low-line concept car pre-dated some of Italy's most iconic supercar designs, and deserves a wider audience than it currently gets. And you'll be able to see for youself what the fuss is all about. Vauxhall will be in Hall 12, Stand 147 of the Footman James Classic Motor Show - more information on the event's website. 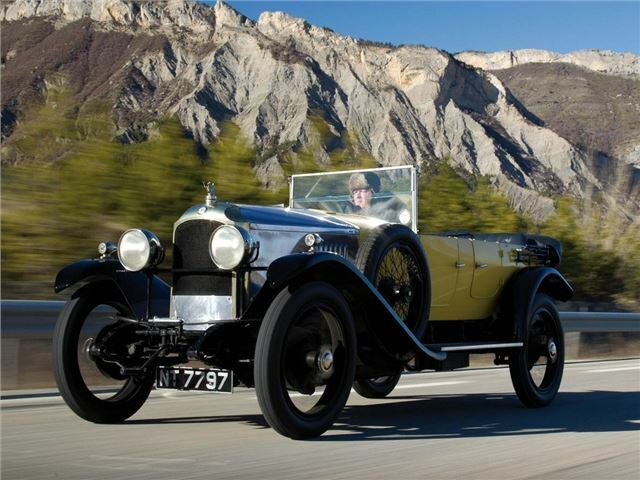 A post WW1 development of the famous Prince Henry Vauxhall, the 30/98 was a 4.5-litre sports car, that for a while was the UK's fastest road-going car. The later OE-type that's on display at the show actually had front brakes fitted (unlike the earlier car), and a grand total of 111 were built during its production run.